Brian Dye isn’t gregarious. He’s not tall. He doesn’t look like a Brooks Brothers model, wear skinny jeans, or have a charismatic presence. He’s not an extrovert or a back slapper or a deal maker. He doesn’t headline conferences or write books. 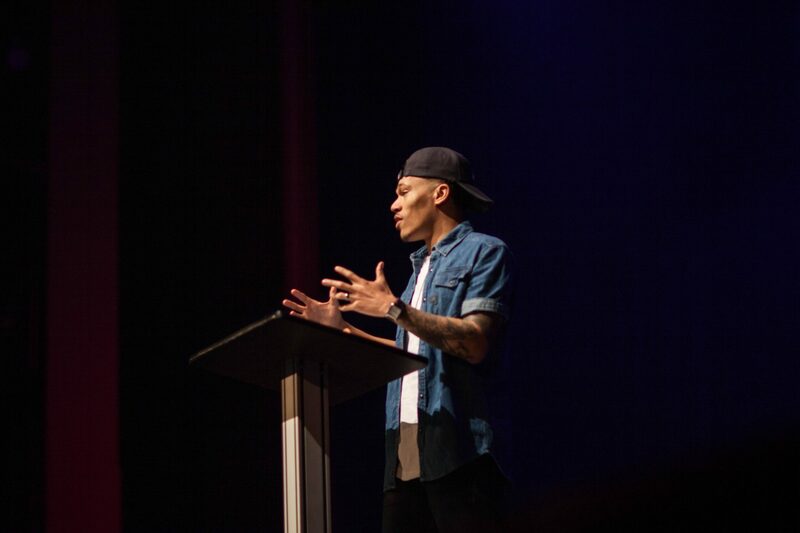 If you had to guess who could build a successful conference on a shoestring budget—one so compelling that speakers such as John Piper and Lecrae and Jackie Hill Perry and Trip Lee would speak for free, one that would grow to 1,800 attendees and five cities in a dozen years—Dye wouldn’t even be on your B list. He wouldn’t even be on his own B list. Dye came to Christ at 13 years old and was immediately passionate about two things—discipleship and his city. He started his first neighborhood Bible study at 14, then went to Cedarville University so he could teach elementary school in the area where he grew up. But just by a little bit. After college, Dye joined the staff of an after-school program called Inner City Impact, doing outreach into high schools. He saw that parachurch organizations like his were doing the work that the local church should be doing but wasn’t trained for. 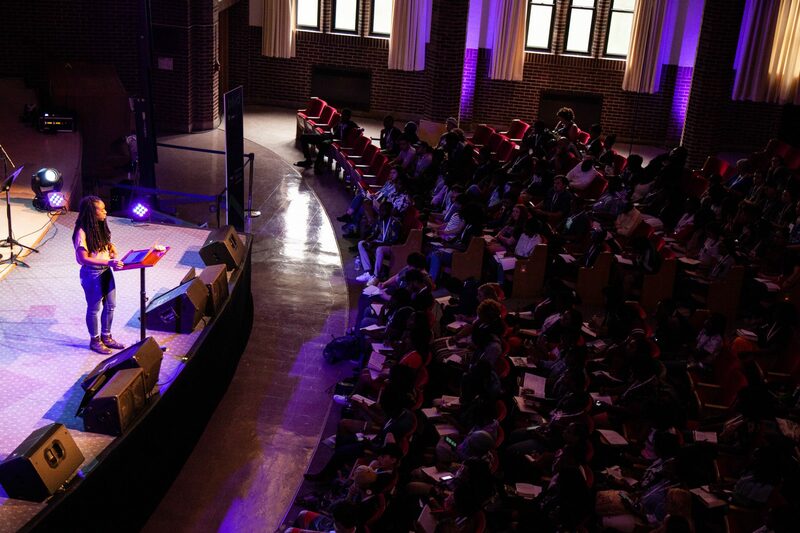 They held the first conference—named Heavyweights—in 2006, and 200 youth came to see Lecrae, Sho Baraka, Tedashii, and Trip Lee. But before it even began, there was drama. So they did. Before the next year, the name of the conference was changed to Legacy. The audience was changed from youth to young-adult lay leaders. And the leader was changed to Dye. And that was something Dye knew how to do. 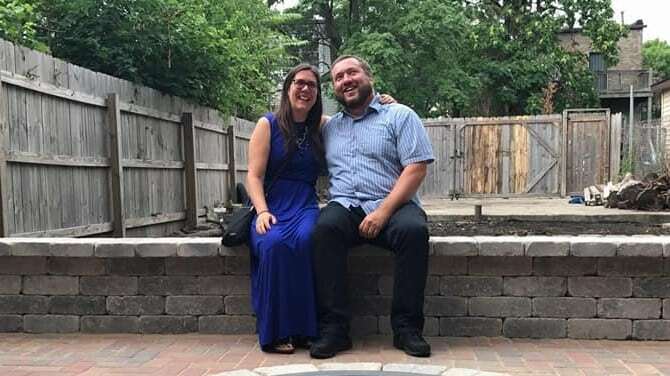 Though he hasn’t formally adopted any children, he and his wife, Heidi, have unofficially parented dozens of young men in Chicago. More than 150 troubled teens, struggling adults, and young people seeking discipleship have ended up in the Dye home, some spending years there. Those teens—and the hundreds of other young people Dye has worked with—are the reason he pulls together the conference every year. They’re the reason he’s expanding it, and the reason he’s started a string of house churches with the same name—Legacy, for passing on the faith, for disciples making disciples. The Legacy Conference has grown like a child—regularly and steadily. The first year it attracted 300 people, followed by 500. By 2017, it was drawing 1,800 to Chicago. 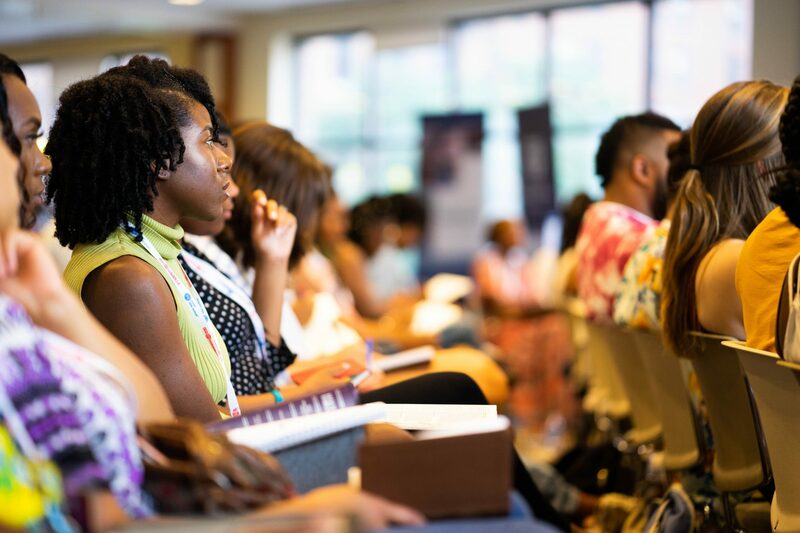 “The typical attendee is a person in their mid-20s who has been a believer for a few years and is looking to see how they can be used,” Dye said. The crowd is diverse (about 75 percent non-white), generally lives in a city, and has day jobs (their churches usually don’t have enough money to pay for full-time work). Legacy speakers teach doctrine (the five solas are on the website), disciple-making, biblical manhood and womanhood, evangelism, hermeneutics, and community impact. “After the first one, the feedback people were giving was like, ‘We’ve never been in a conference like this before. We’ve never heard stuff like this,’” Dye said. That’s because “most conferences are typically more suburban, white, middle-class, and pastor-focused,” Dye said. There’s an understandable reason for that—conferences take a lot of time and money. Generally, churches in under-resourced urban areas don’t have enough funds to either host or send their pastors to one. Dye gets that; Legacy doesn’t have big donors. He didn’t take a salary from Legacy for the first 10 years: In the beginning, he juggled substitute teaching and school-bus driving to pay the bills. (Now he gets paid part-time.) He rents space from Moody Bible Institute. He doesn’t pay speakers. To pull that off, he networks like crazy, sitting down for coffee with everyone he can to explain the vision. The heart of Legacy is the heart of God. And for that reason, I will always support it. But conferences aren’t his favorite thing. “I’m not a logistics person,” Dye said. So if he’s not a logistics person, and not a conference person, why is he still doing this? And putting so much effort into it that he’s doing it well? The answer sleeps in his house, eats his food, and asks him to come to school events. Ross’s single mom didn’t have her own place. She lived with a cousin, and then a friend, and then another friend. The house where she was staying was full of fighting and drugs. A little lost, Ross went to hang out at his old church youth group. One of the leaders found out he needed a home and brought him to meet Dye. Dye took him home anyway. He remembers coming in the door that first time, Heidi coming toward him. In an urban black neighborhood, she was white. And she was smiling. But it wasn’t weird for Heidi. Brian and Heidi Dye’s first date was with a group—but not of other couples. “He put me in a van with some teen boys, and we went to a White Sox game together,” Heidi said. She’s from a quiet town in rural Wisconsin, and fell in love with urban ministry while volunteering in Chicago during college. The Dyes had been married six months when a “guy both of us knew well” was released from prison after doing time for dealing drugs. The Dyes have lost track of how many people have stayed with them (“Over 100,” Heidi says). They’ve hosted a homeless man addicted to drugs, three teens in a job-training program, and people in the ministry needing a short-term place to stay (years ago, that included Lecrae and Trip Lee). But mostly, it’s been teenage boys from the ‘hood. “It was always a learning curve, and we haven’t always had the best experiences,” Heidi said. Some of the boys are hard to motivate, quitting school or multiple jobs. Some are disrespectful. Some smoke weed in the house or sneak girls into their bedrooms. For example, Wednesday night is the Dyes’ date night. 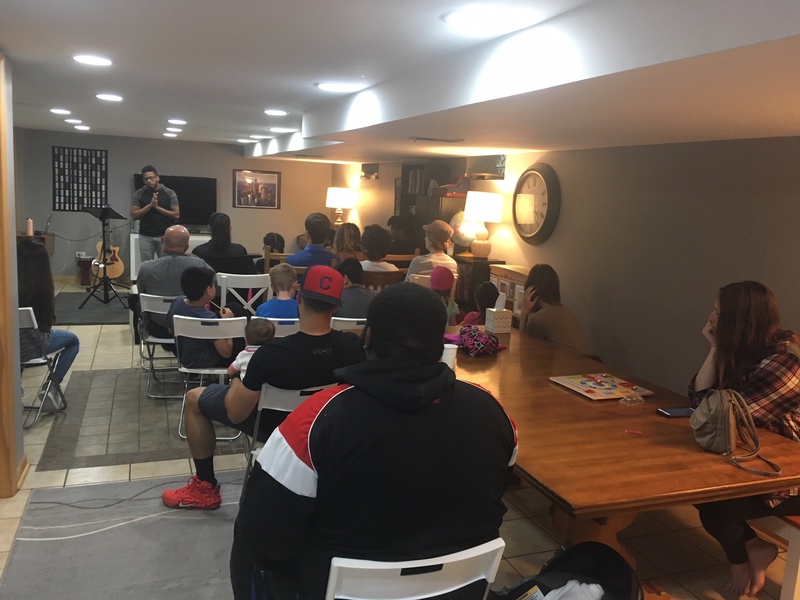 While they’re gone, a half-dozen seventh graders come for a Bible study in one room, while a group of high schoolers meet for Bible study in another. “During my four years there, I was becoming more compassionate and more loving,” Ross said. The Dyes loved him the way God loved Israel—warning about his attitude, forgiving his insults, kicking him out when he was too disrespectful, then taking him back. His fourth year there, Ross gave his life to Christ. Brian and Heidi don’t have a ton of rules—no girls in the bedrooms, no drugs, no taking stuff from someone else. The overarching requirement is that the boys “be present.” That means if you’re in the house at 6:30 p.m., you must sit down to dinner without your electronic devices. It also means you participate in Bible studies or church services that the Dyes host. That doesn’t sound like a huge time commitment—after all, how many Bible studies does a normal family host? If working on Legacy conference logistics is a necessary evil, it’s to get to the goodness of one-on-one discipleship. Dye can’t get enough of it. 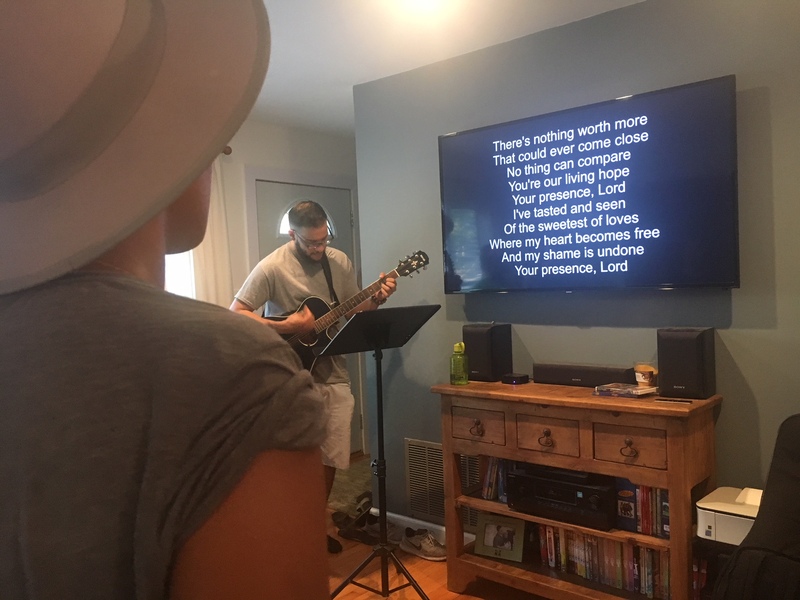 He and Heidi host four nights a week—in addition to the teen Bible studies, there’s a “missional community” gathering (a little bit like a small group), and two different Bible classes. Then on Sunday, they host church. Brian was never aiming to be a pastor. But after the second Legacy conference, he was fielding a lot of questions about churches. “People would come and be challenged in what they believed about Scriptures or the mission of God or discipleship, and we started getting a lot of people asking us for church recommendations,” Dye said. He was having the same problem. He’d just bought his six-bedroom house in a tough neighborhood 20 minutes from his church building. He wanted something closer, something he—and those he wanted to invite—could walk to. Dye was reading through the book of Acts, and seeing how the early believers met in each other’s homes. Around the same time, he and Heidi went to Zambia—and saw a modern-day Acts. On the plane ride home, they began dreaming about starting a house church. So in 2008, with the support of their home church, the Dyes started a house church with a core group of 12. “God has continued to bring people to us, and we have seen people saved,” Dye said. But the house church couldn’t grow too much. Even when Dye moves around the furniture, he can only get 40 to 45 people in his living room. So he started to plant. One enormous challenge to planting house churches is finances. Even on its best day, a house church of 30 generally low-income people isn’t going to pay anybody’s full-time salary. So all the leaders are bivocational, fitting in their hermeneutics classes and sermon prep on nights and weekends. The disciples were qualified not because they had education or status, but because “they had been with Jesus,” Heidi said. Yet that doesn’t mean they want unqualified leaders. So over the past decade, Dye has created a leadership pipeline. Dye teaches them how to study the Bible, how to see the gospel in the text, and how to preach it clearly. He leads them through a disciple-making course, where he helps them to mentor someone younger in the faith. And he just launched a biblical counseling course to help people to identify idols of the heart, point to Scripture, and equip parts of the body to minister to each other. 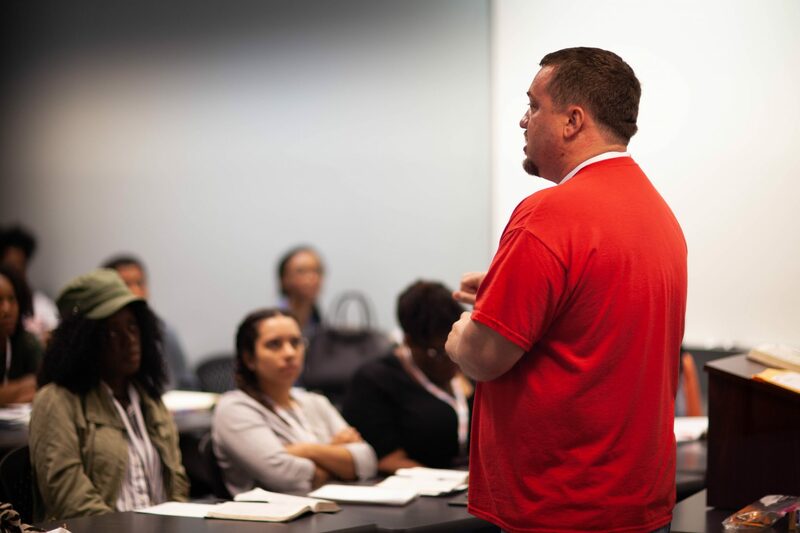 This spring, he started sending his planters through a new City to City incubator, which uses a curriculum developed over the last 15 years by leaders at Redeemer City to City in New York and adapted for Chicago’s specific context with The Chicago Partnership for Church Planting, where Dye serves on the board. Dye has been discipling people in Chicago since he was 14. “There are a lot of similarities” between then and now, he said. “Broken families have been pretty consistent for a while. A lot of young people are growing up without their father in the home, so young men are lacking identity. Young ladies are lacking the value they often receive from their father, and they’re searching for it in other places. Dye can relate—that was his longing too. 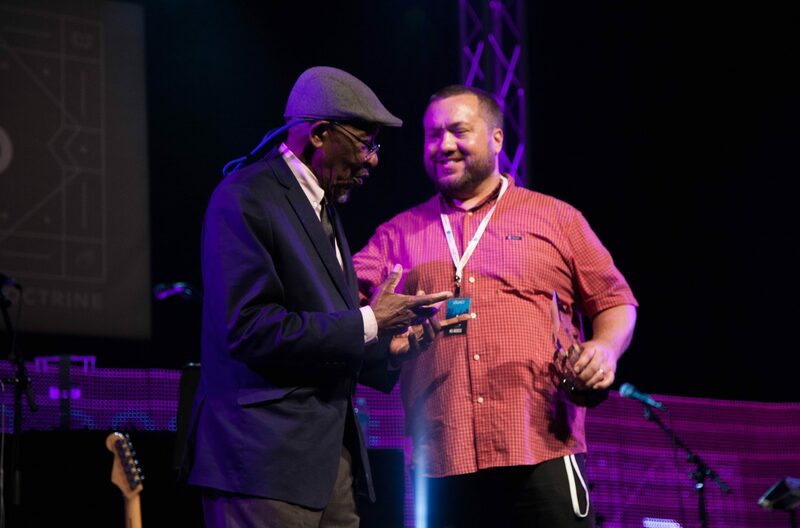 Dye’s strength in building intimacy is one reason house churches work so well for him, and is the biggest reason people cite for loving the Legacy Conference. Dye is the father figure they have in common.